"An important addition to this excellent series, covering fundamentals in the ‘what’ of language change such as sound change, changes in the lexicon and syntactic change, as well as the ‘why’ including contact linguistics and the influence of language policy, and the ‘how' including diffusion and spread at multiple social levels. Each chapter comes with a rich set of data-driven problem solving exercises as well as a searching research question." 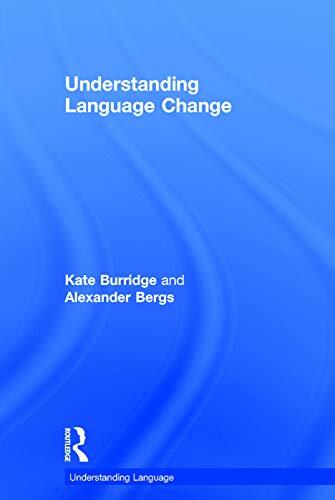 "Drawing upon their own research, and concentrating upon English phenomena without ever losing sight of issues in other language communities, Kate Burridge and Alexander Bergs have packed a wealth of insights into a volume which is sure to make historical linguistics, in its broadest sense, both relevant and attractive to students, other linguists and curious laypeople alike. With its discussions and rich array of activities, this is a book which can be recommended for any undergraduate or MA programme in English Language or Linguistics." The Understanding Language series provides approachable, yet authoritative, introductions to all the major topics in linguistics. Ideal for students with little or no prior knowledge of linguistics, each book carefully explains the basics, emphasising understanding of the essential notions rather than arguing for a particular theoretical position. Understanding Language Change offers a complete introduction to historical linguistics and language change. The book takes a step-by-step approach, first by introducing concepts through English examples and building on this with illustrations from other languages. This book is essential reading for any students studying Historical Linguistics for the first time.